Throughout the week, I stick to a pretty consistent, healthy breakfast routine. Yogurt and granola, oatmeal, fresh fruit, or a breakfast smoothie…something along those lines. And then, Saturday rolls around…and…DONUTS. It’s really quite simple. Weekends were made for donuts. And donuts always make weekends better. 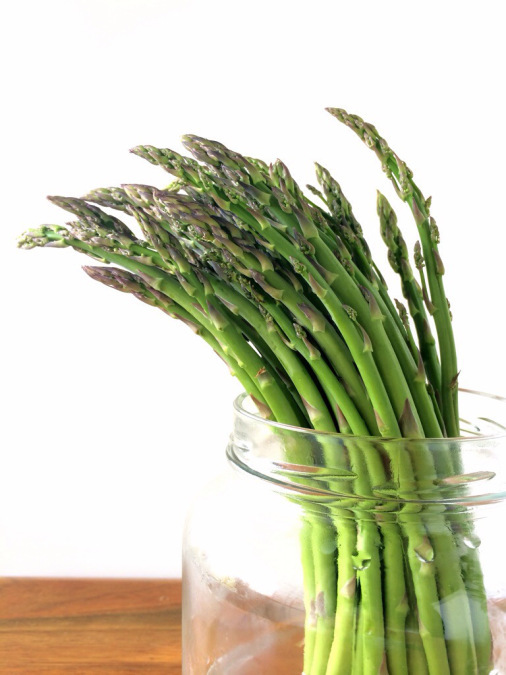 They’re the type of breakfast food that says, JUST CHILL. Enjoy the morning, stay in your pajamas a little longer, linger at the table with your steamy cup of coffee, favorite magazine, and eat that second (third?) donut. Just because. It’s the weekend. Besides, they’re baked donuts, soooooo it’s ok. Some baked donuts can be rather dry or too dense, but these donuts are fluffy and super moist from the finely diced pears. 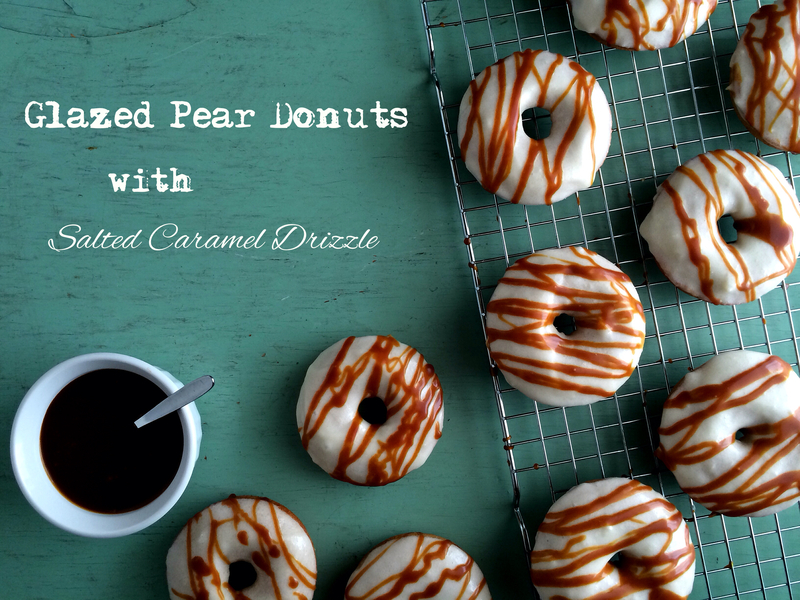 Spiced up a bit with cinnamon and ginger, then dunked into a pear-cream cheese glaze and topped off with decadent gooey salted caramel sauce. Preheat oven to 350 degrees. 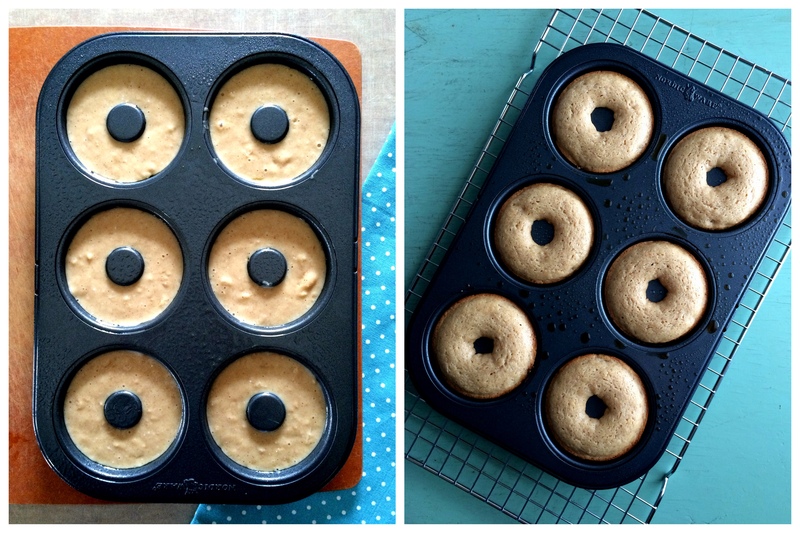 Oil or spray a donut baking pan, set aside. Mix the dry ingredients together (flour through ginger). 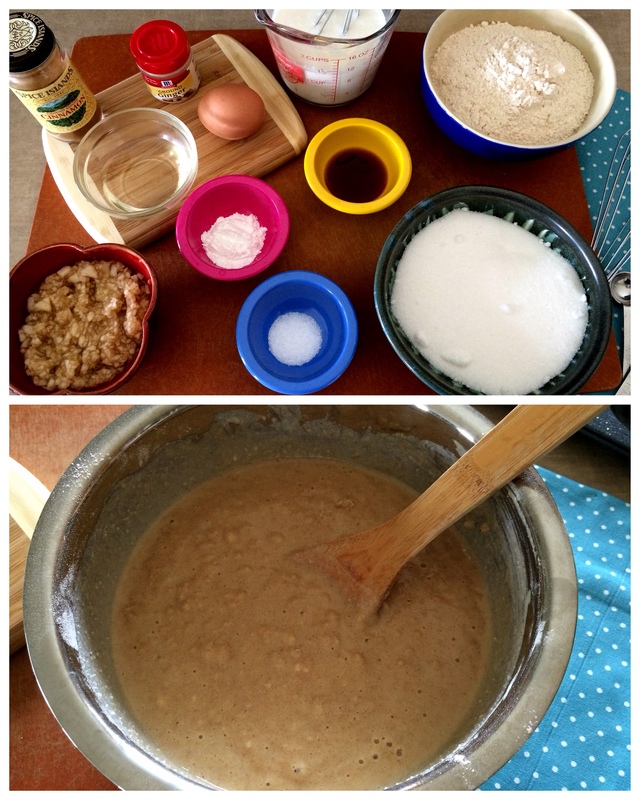 Mix the wet ingredients together (egg through vanilla). Add the diced pear to the dry ingredients and mix until pear is coated (this helps prevent the pear pieces from falling to the bottom of the pan). Add the wet ingredients to the dry and stir until just combined. 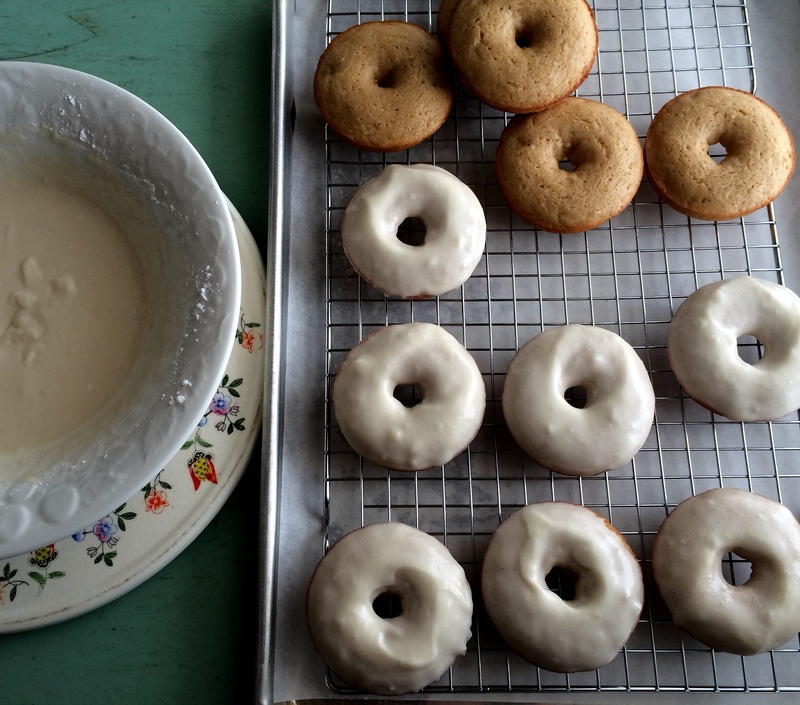 Spoon batter into prepared donut pan or pour batter into a large ziploc bag, snip off the tip of a corner and pipe batter into pan (it’s a pretty loose/wet batter, so it comes out of the bag quickly)–fill each donut mold 3/4 of the way full. Bake for 14 – 16 minutes, until knife inserted into donut comes out clean. Let cool in pan on a wire rack for 5 minutes, then invert pan to release donuts and cool completely (about 10 – 15 minutes). Repeat with remaining batter. 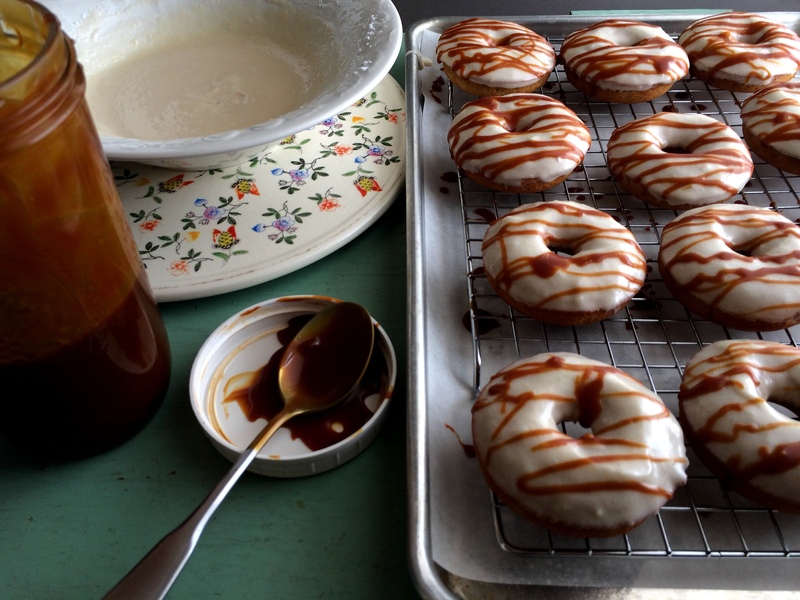 Meanwhile, make the glaze. Whisk the cream cheese and pear juice or puree together until well blended and smooth. Add the powdered sugar and whisk together, adding more sugar or juice to desired consistency. Dip cooled donuts in glaze to halfway up the sides. 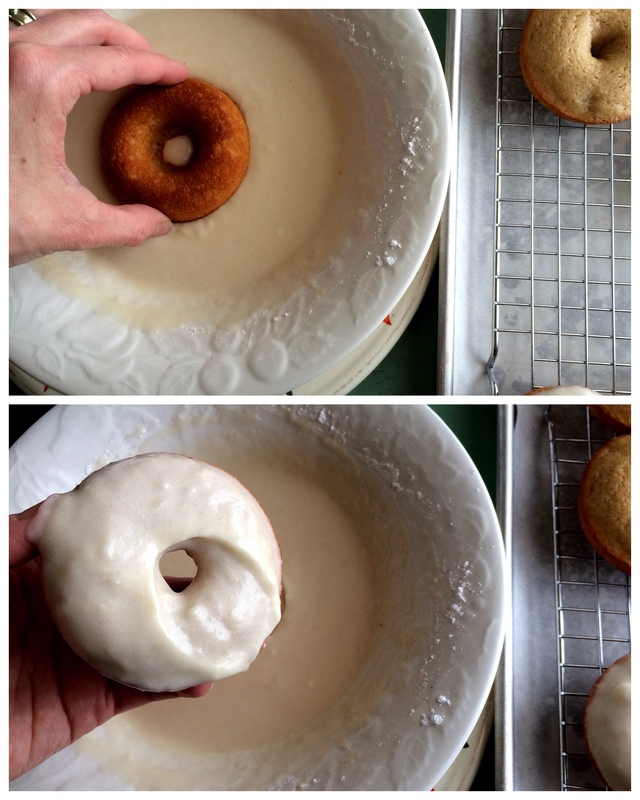 I dip the top of the donut into the glaze; it makes for a nicer looking donut. 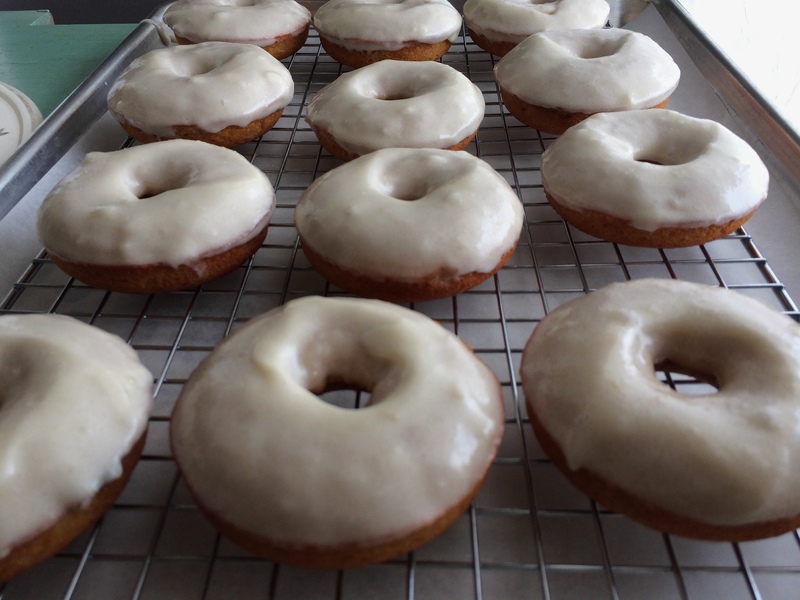 Once all donuts are glazed, let them sit for 15 – 20 minutes to allow the glaze to set slightly. 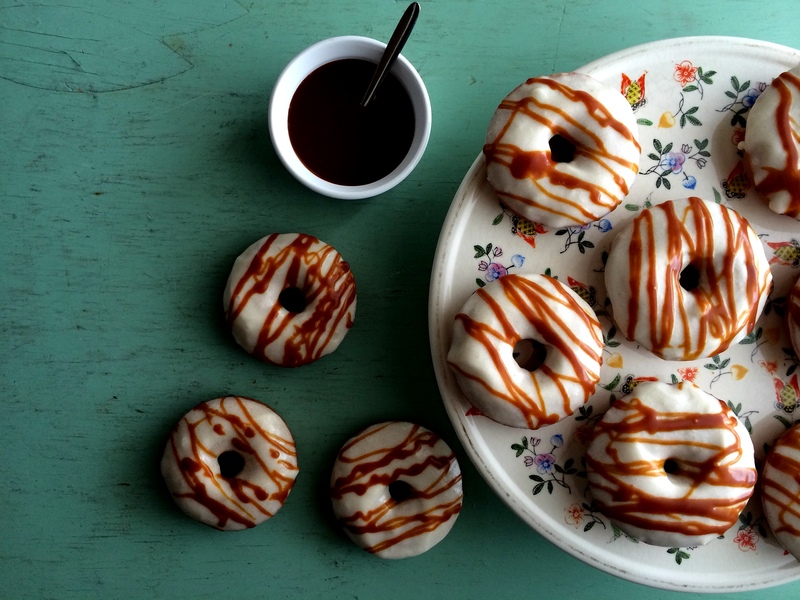 Using a spoon, drizzle with salted caramel sauce. 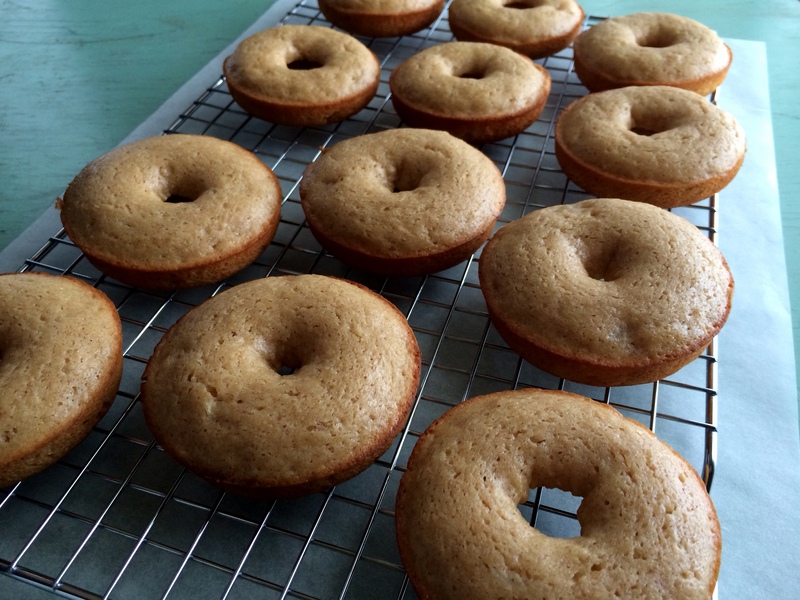 Donuts can be kept in an airtight container for 3 – 4 days. Enjoy!